René Schmidt has received critical praise from readers and writers for his poetry, ballads, plays, and short stories as well as non-fiction. Often he will rewrite something multiple times before he is happy with it. René follows the advice of George Orwell: "Never use a metaphor, simile, or other figure of speech which you are used to seeing in print. Never use a long word where a short one will do." Writing for children forced him to be economical in his writing and he believes it improved his writing for adults as well. Learning to mimic all sorts of voices and accents while in high school helps him to write dialogue. Professional Memberships René is a member of the Writer’s Union of Canada where he sometimes judges the Union’s new short fiction writing contests. He belongs to The Spirit of The Hills Arts Group of Northumberland County and is a member of the Author’s Booking Service. René visits schools and libraries where he speaks about his books and the art of writing to students and teachers. He has a current police check on file registered with the Toronto District School Board and Author's Booking Service. See the Contact René page for booking him. Education René Schmidt attended public and high schools in Ontario and Illinois. He studied Theatre Performance at Ryerson and graduated from York University with an Honours B.A. and a B.Ed. degree. René auditioned to be accepted into an exclusive Creative Writing program at York University where he was taught and encouraged by Canadian authors Clark Blaise, Mavor Moore, Matthew Corrigan, Sheldon Rosen, and Tim Wynne-Jones. He sold his first piece of writing for $400 in 1980. René taught school for twenty-seven years in Scarborough and Northumberland County. Personal Life René was born in Zaandam Holland in 1954 and immigrated to Canada with his family in 1957. He remembers not wanting to speak "that funny language" (English). His brothers say he was usually on another planet; day-dreaming and making up stories in his head. His teachers felt the same way. René spent several years after high school working, travelling by bicycle, truck and motorcycle and doing a wide variety of jobs including underground mine-worker, construction labourer, truck driver, upholsterer, and taxi-driver before returning to University. Wanting to accurately describe a wide variety of work environments René enrolled as a merchant marine trainee just to "get the smell of the place" of a freighter on the Great Lakes. René is married to Shirley and they have two sons; Adrian and Daniel. 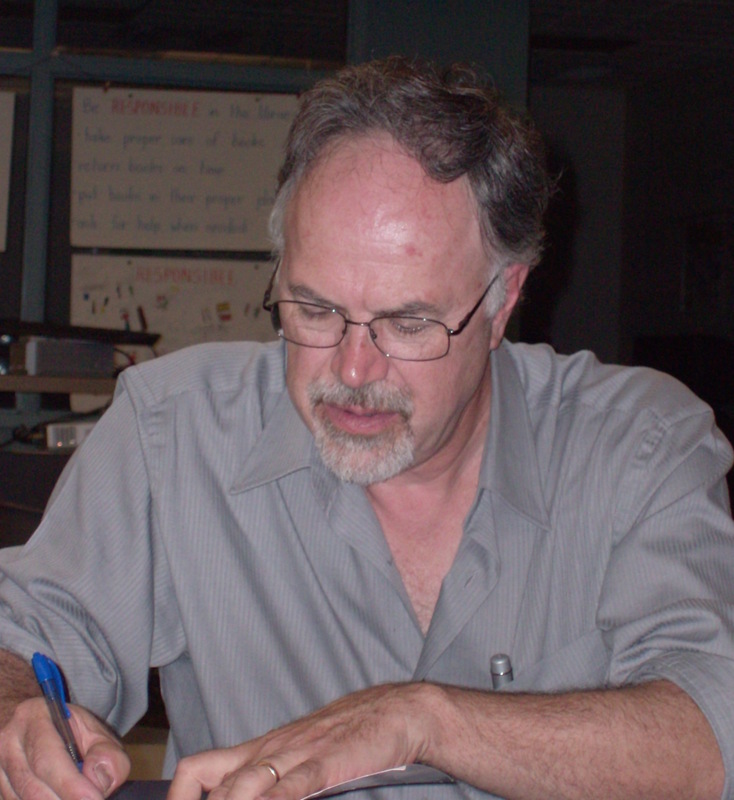 René retired from teaching in 2009 and served as director of a youth drop-in centre. He returned to teaching for a term as Senior Drama teacher at a local high school. René continues to write. Book Themes René's novel Leaving Fletchville is based on a true story of a responsible girl taking care of her siblings and pretending to be an adult though she was underage. The novel also describes some of the bullying and racism he witnessed in schools. René loves to focus on ordinary heroes who achieve much despite adversity. René is a serious Canadian History buff. His interest developed when he began spending time in libraries and archives, including Ottawa's National Archives, while researching forgotten stories of Canada's past. While researching Canadian Disasters he shared so many amazing stories that his students became hooked and began researching for themselves. René believes he has enough unpublished and material in his computer and filing cabinet for about ten books.